>‎"50 pounds to the first person to open those doors"
But that was the 20th Century. It's now some two decades since those heady days and we have a new fresh remastered DVD version to enjoy. And, as with many of the earlier stories (The Web Planet excepted), these adventures have a lot going for them. 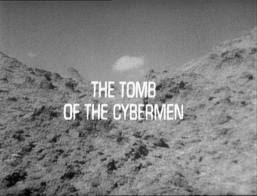 The atmosphere perceived on the old soundtrack *is* there on screen, the Cybermen *are* menacing even in their minimal participation in the tale, and the acting is very competent. I still wouldn't rate it a "classic", but it is a strong tale. "I love to see the experts at work, don't you?" The Doctor of Production Block Four is witty, intelligent, perceptive, and at times downright dangerous. This had been highlighted in the previous serial Evil of the Daleks as he manipulates his companion to achieve his (benevolent of course) aims [long before the 7th Doctor did so to some fan complaints! ], and continues here as he deftly manipulates Parry's team into, well, doing his dirty work for him! A little hint here, a flick of a switch there, and they all progress further into the Tomb's mysterious depths. As he says, they couldn't leave as soon as "Cybermen" are mentioned, but then again if he hadn't have surrepticiously assisted then would there ever have been a threat (or indeed the death of most of the team by the end). 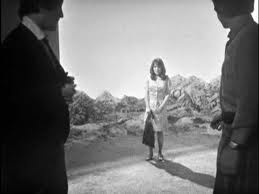 Similarly, the Block Four Jamie is still an intelligent of out-of-his-league Scots lad, perceptive enough to realise the Doctor's line about skirt lengths to reassure Victoria. Victoria herself demonstrates her own strengths: a particular exchange comes to mind when, as Hopper head into the caverns she remarks "Who'd be a woman?" and he responds "How would you know? ", but later she gets to give him a cutting response in ""its comforting to know they we've got your superior stength to call on should we need it"! The main cast excel throughout. 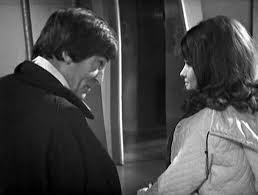 Even though she's the new girl, Debbie Watling seems to settle in with the Pat'n'Frazer duo quickly, and they display a genuine affection to each other throughout the serial. As for the supporting cast, generally the acting is okay, if the accents are a little 'eccentric' at times. Also, a little consistency in pronunciation would be handy, e.g. Telos and Teelos, CYBERman and CyberMAN! (Ah well, Matthew Sweet doesn't do much better in the Cybermen documentary on disk two so should we worry?!). Of particular note is Roy Stewart, who does wonders with Toberman considering the character is mainly treated as "the heavy" and gets about three lines in the entire story(!) - it seems at times that the Doctor is using subtle manipulation upon him (opening the Tomb doors, the Kaftan death aftermath), but there's a certain nuance that suggests there's more to him than meets the eye - quite literally later on with his cyber-arm! And let's not forget it's his sacrifice that wins the day (even if it was him opening the doors that caused the kerfuffle in the first place!). Of the others, Shirley Cooklin and George Pastell play the Logician fanatics Kaftan and Klieg well, though their character's motivations seems a little woolly at times (why does Kaftan play with the cyberchamber controls, and why is Klieg's logic over the Cybermen's intentions so completely flawed?!?!). The others are unfortunately less memorable, though they have their moments. Logic, in theory, is a matter of taking a particular pattern of event and being able to realiably predict what will occur next in that sequence, A will go to B will go to C etc. Here, we have the interesting discourse between the Doctor and the Cybercontroller over the latter knowing all about the former, and then he deducing what the latter was up to. It's quite a revelation to find out that the trap was for him, with the Cyber race logically concluding he'd eventually come to Telos and release them. Was the Doctor really so unwitting? If this was the 7th Doctor, of course, then we'd know it was all a collosal "chess game" of manipulation to achieve the desired result - but here it seems the 2nd was just as good at the game ... or was he? Things could have gone badly wrong if it hadn't been for his companions ... or did he know they would pull through for him? A debate for another time, perhaps! In principle logic should have no alignment, but Tomb's event do suggest that it is more likely to lead you down the dark path than stay neutral. Being the opener for this series, it's quite poignant that the subject of logic returns in the finale with Zoe's slavish consideration of it in The Wheel in Space - and of course the Doctor's gentle mockery of her over that - how to be wrong with authority indeed! "Now I know you are mad, I just wanted to make sure"
Of course in a production made "as-live" a number of mistakes can creep through. There are lines that would make the First Doctor proud: "curiously lacking in curiousity" and "open that opening mechanism" come to mind. The usual array of boom mike shadows and inadvertent crew in shot crop up (you can see someone inside the closed hatch at one point, though the production notes pointed that out to me!). The "cyber-chatter" could be a little grating at times, too, making it difficult to understand what they are saying at times. "Keeping my eyes open and my mouth shut"
It seems sometimes characters can hear the TARDIS arriving and other times they can't - guess it depends on what serves the story best! 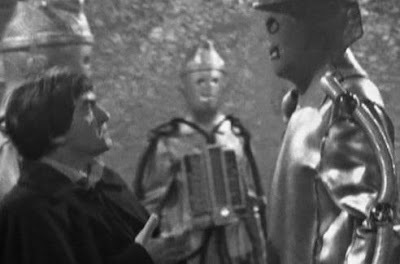 The Cybermen look great in the story, even towering above the massive Toberman. I guess casting shorter actors/actresses helped immensely with that, but it is still awe-inspiring, especially with some of the camera angles employed by Morris Barry. 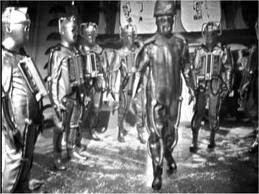 I don't know about you, but I feel the old classic Cybermen used to have some great quotable lines; you could imagine the chants around playgrounds as kids try out their monotone reproductions of "Now You Belong To Us", "We Will Survive" and "You Will Be Like Us" - no namby pamby "DELETE" going on here! Why was the Cybercontroller doing a Brucie pose when his tomb was opened. And just what was the pow-wow between Parry and the other Cybermen about before they went to release the Controller? What do sleeping Cybermen dream about? Would they be able to? It's interesting that the Doctor has an entry on cybermats in his 500 Year Diary - when did he find that out being he only encountered them in The Tenth Planet (or did he? 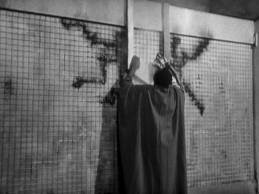 The First Doctor did know that the mysterious planet was Mondas ...). It's also a shame that the diary didn't continue beyond this block ... but then it won't be long before the sonic screwdriver arrived and things wouldn't be the same again! "Archaeologist written all over him"
To conclude, overall the story does stand up well, more so to me now than it did upon it's recovery. Maybe that's because I'm 20 years older and appreciate the subtleties and nuances more than I did back then. The story has some eminently quotable lines, too; as well as the ones mentioned throughout the review, there are also the lovely moments between the Doctor and Victoria to enjoy, too The bit when they talk about family memories is wonderful: "I have to really want to to bring them back in front of my eyes. the rest of the time they sleep in my mind and I forget". Similarly, when talking about their adventure: "our lives are different to anybody else's - that's the exciting thing, nobody in the universe can do what we're doing". The Doctor's final comments are interesting, too; when asked about if this is the end of the Cybermen he cautiously adds: "on the other hand, I never like to make predictions" - but didn't he state that it was the final end of the Daleks just a story before? Considering their return later on perhaps he should have considered what he would say about the metal giants a little later (grin). The final scene was cut, of course: as the TARDIS dematerialises and the lonely cybermat makes its way across the rocky surface, it is suddenly picked up, examined, and commented upon: "hello, sweetie ..."